The Fusion Tazo hot forged "D" shaped aluminum is light weight (yet strong!). The Tazo D features an extra large gate opening with a screw-lock collar that screws against the gate to prevent jamming, providing a secure closure of the gate. 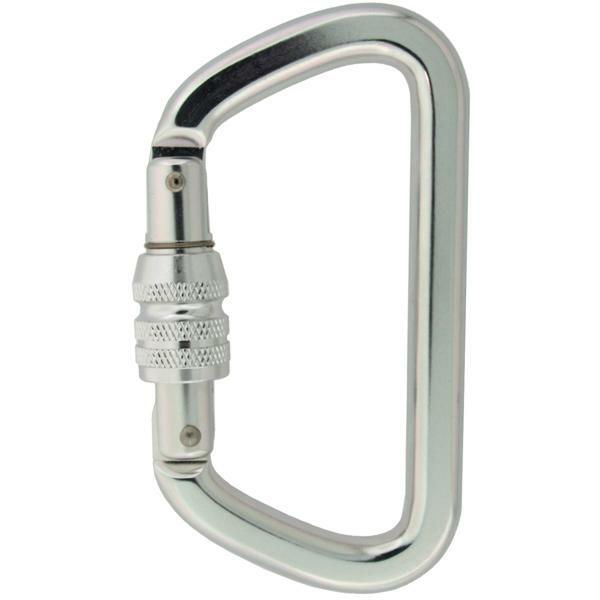 Hot forged ''D'' shaped aluminum locking carabiner gives more strength for the weight. It is ideal for industrial, climbing, sports and tactical applications. Strength tested to 23kN. Developed specifically for Brigade Qm to support our Troops and Law Enforcement customers. Choice of Tactical Black or Bright Silver polished finish. 8) Discard any carabiners: If you suspect your carabiner is too old or worn for any reason. 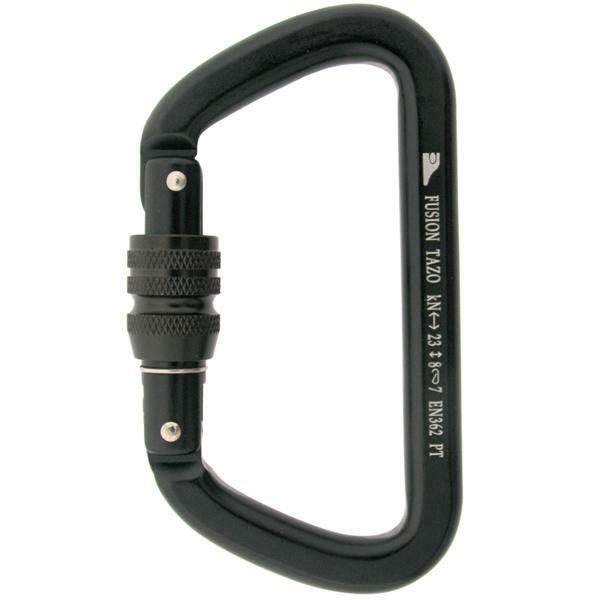 Retire your carabiner if you are doubt of the quality or integrity of the gear. Ultimately the user is responsible for the determining if it�s time to retire your carabiner. Only you know what your carabiner has been through. Check frequently, when in doubt discard your carabiner and replace with new ones. The kN, or kilonewton, rating measures the amount of force it would take before a piece of equipment failed, as opposed to how much mass it can hold in a static situation. Objects with relatively low mass (like a human) can generate substantial energy (force) when accelerating, of course, so it can be misleading if a piece of climbing or fall-arrest equipment were rated in terms of “pounds” or “kilograms.” In order to convert kilownewtons into pounds-of-force (another measure of force), simply multiply the rating in kN by 224.8 (1kN = 224.8 lbf). All Fusion carabiners are stamped with closed, open-gate and minor axis strengths measured in kilonewtons.